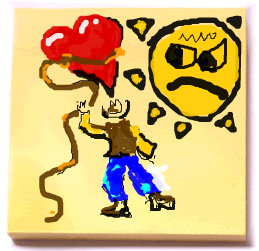 Man lassos big heart. Sun disapproves. 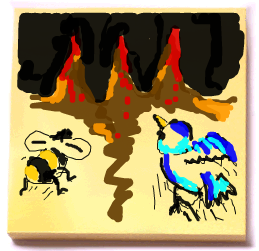 A bird and a bee race to three blood-dripping stalagmites. 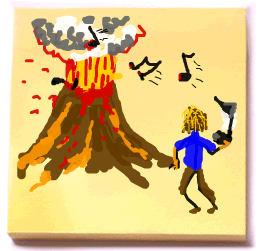 Man in blue shirt throws music into the fires and lava of a volcano! 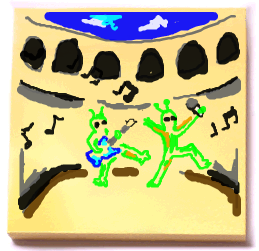 Two aliens playing a gig in the Colosseum. 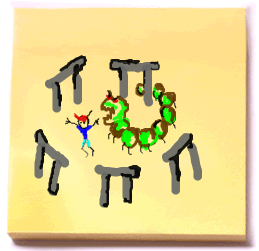 Kid gets attacked by a giant catapillar at stone henge. 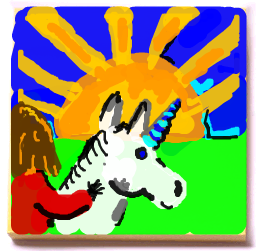 A girl rides a unicorn into the sunset.